Christopher Golden is the award-winning, New York Times bestselling author of Ararat, Snowblind, Tin Men, Of Saints and Shadows, and many other novels. He is the co-creator (with Mike Mignola) of two cult favorite comics series, Baltimore and Joe Golem: Occult Detective, and over his career, he's written for nearly every major comics company. One of the screenwriters of the new Hellboy film, Golden has also written screenplays, radio plays, video games, and short stories, and--with Amber Benson--created the groundbreaking BBC online animated series Ghosts of Albion. As an editor, his anthologies include Seize the Night, Dark Cities, and The New Dead, among others. He is also a lecturer, teacher, and keynote speaker, one half of River City Writers, one third of the podcast Three Guys with Beards (with Jonathan Maberry and James A. Moore) and co-host (with Brian Keene) of the podcast Defenders Dialogue. 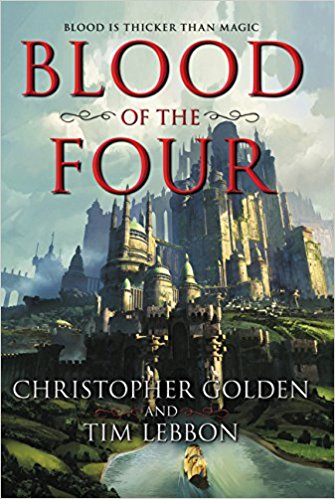 His most recent novel is an epic fantasy collaboration with Tim Lebbon, Blood of the Four. Golden was born and raised in Massachusetts, where he still lives with his family.